Without doubt, the DEH-P55BT will take to the centre stage of your in-car entertainment experience. Experience new levels of driving freedom. The Bluetooth® enabled DEH-P55BT communicates with nearly any Bluetooth® mobile phone in the car and takes over the phone’s functionalities. As a result, you have the convenience of hands-free communication without the need for an additional car kit. But this beauty has more in store. 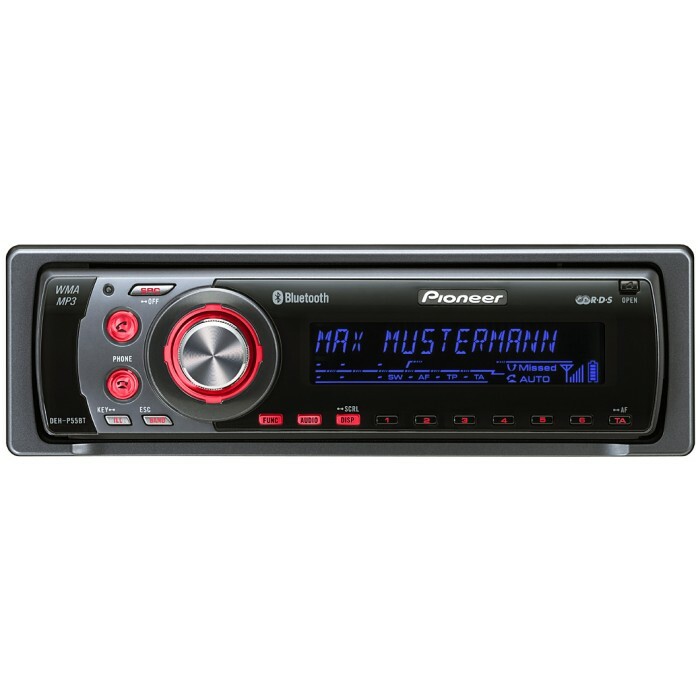 Thanks to the IP-Bus and the direct Aux-In you can hook up a variety of sources, while you can enjoy the listening comfort of MP3/WMA/WAV compatibility. Without doubt, the DEH-P55BT will take to the centre stage of your in-car entertainment experience. In addition, its LCD display and buttons with RGB variable colour illumination allow you to add a stylish and personalized touch to match your car’s interior.